Top row, left to right: Hadija, Millie, Abdul and Ramadani. Bottom row: Heather in Larks, Xander, Alice in Swallows, Josephine in Swallows and Esther in Larks. The idea of Wazi Shoes came from two sisters, Alice and Heather, who have long term connections to East Africa. Their parents fell in love on a yacht in the Seychelle Islands. Heather was born in Mombasa, Kenya and the girls spent their early years there. Africa is forever in their hearts. Having become a nurse and earning a Masters in Nursing with an emphasis in HIV and Community Health, Alice moved to Tanzania to work in HIV prevention. She fell in love and married Abdul, a Tanzanian. Luggage home was always filled to the brim with Eastern African goodies. 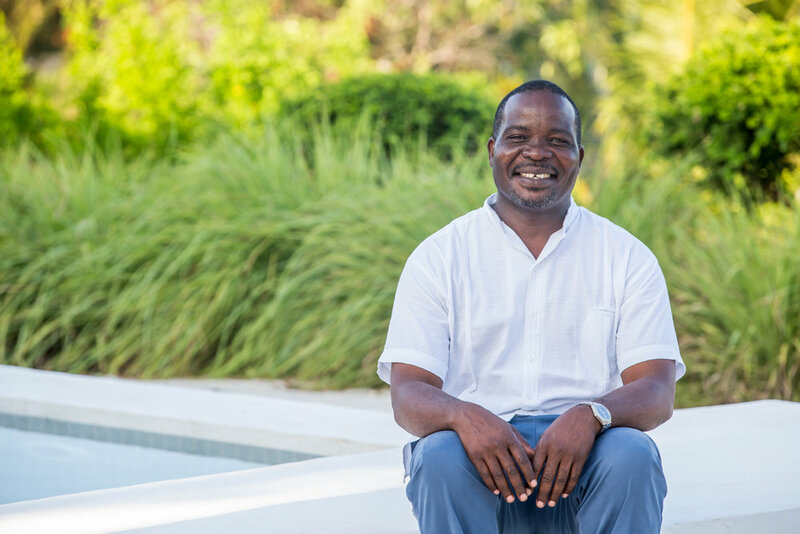 Friends and family members would frequently request sandals, and voila the idea for Wazi Shoes was born with the heart of the business to fund nursing scholarships in East Africa. Now, after several years of developing styles, trying out various super-beaders, and conducting extensive wear tests, Wazi Shoes launched in the Spring of 2017. 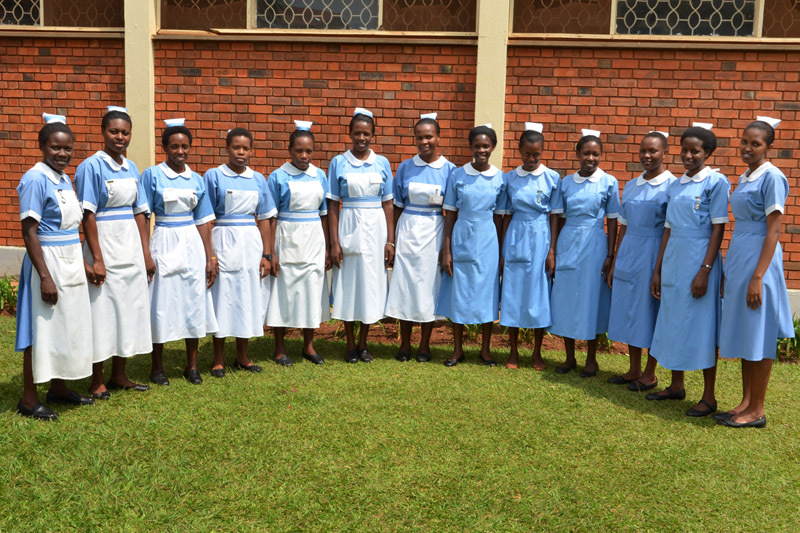 By December 2017, Wazi Shoes fully funded their first nurse scholar. Heather is Head of Creativity, Alice is Head of Operations and Abdul, Head of Production. 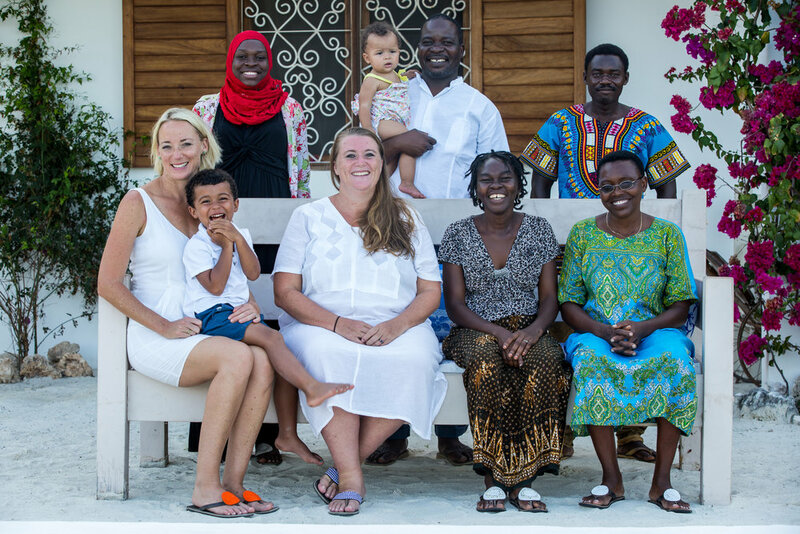 Wazi Shoes is based in Santa Barbara, CA with operations in Dar es Salaam, Tanzania. Given the commitment of the Wazi team to Eastern Africa, and in line with the company’s core values, Wazi Shoes donates a portion of sales to The Gretta Foundation which helps young people pursue nursing training in Eastern Africa. In many sub-Saharan African countries, nurses account for 90% of the health workers that are directly engaged in patient care. Yet, there is a huge nursing shortage in most of these countries, which translates to many patients unable to access the care they need. This shortage, coupled with the mal-distribution of the global disease burden in Africa, causes high rates of morbidity and mortality for many Eastern Africa communities. December, 2017: Please welcome Miss D. as the first Gretta Foundation Wazi Shoes Nurse Scholar. Miss D (name kept private) is 22 years old, the second born of six children from Uganda. After her father’s passing, her mother provided for the family by selling pancakes and avocados at the local market. When she was six, her younger brother died from severe burns when playing near a pot of hot porridge. He suffered for three weeks before succumbing to his injuries and neglect from too few nurses. Growing up in an area with only one medical clinic and very few health workers, she witnessed mothers die while giving birth, and this inspired Miss D. to become a midwife. Miss D. will be fully supported for a maximum of four years based upon satisfactory completion of each year’s training program. Each scholarship will provide its recipient with an annual tuition, living allowance, books, school uniforms, shoes, and clinical supplies. 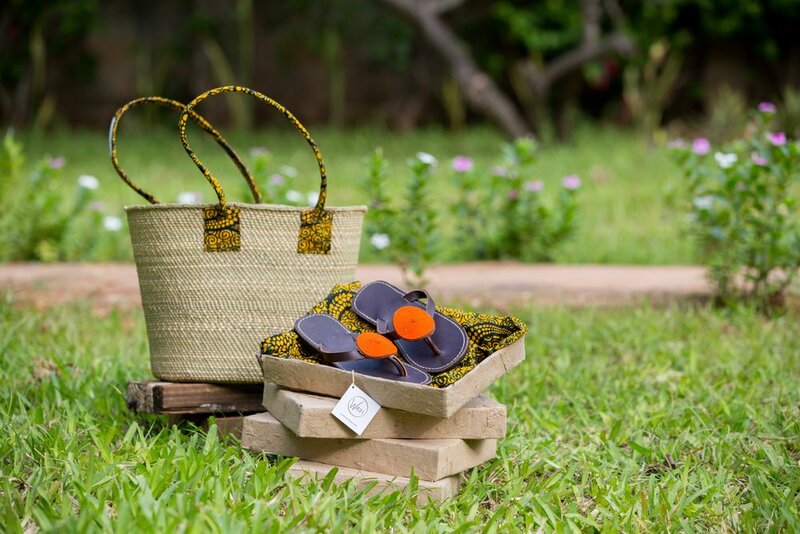 Last year, Wazi Shoes officially partnered with Vikapu Bomba to offer this beautiful pairing of a handwoven basket made from the grasses of the southern highlands of Tanzania with Wazi Shoes. The colorful kitenge fabric handles of the baskets match the travel bags of the Wazis. A perfect gift for a honeymoon, birthday or wedding anniversary. Or yourself! Every season Wazi Shoes is committed to partner with like-minded organizations to offer beautiful, complementary goods from East Africa. Wazi Shoes and Vikapu Bomba, a match in quality and mission.